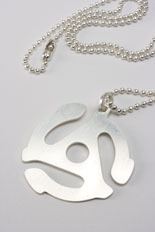 THE 45 SPACER NECKLACE $30. Also available in silver, gold, and platinum. Contact Jonny Sport for pricing.